Now that the holiday season is upon us, many will not only be hosting the holidays at their homes, but also hosting lots of overnight guests. If you find yourself having both expected, and the occasional unexpected, overnight guests it is always a good idea to have a nicely stocked bathroom or guest bathroom to make your guests feel at home. Furthermore, many of your guests will likely be traveling by plane and may be packing light with respect to personal toiletries– therefore, the more prepared that you are for them, the more comfortable and pampered that they will be. In addition to extra toothbrushes, toothpaste and dental floss, I like to have a variety of haircare, body care and skincare products from which my guests can choose. Since stocking your bathroom for your company can be expensive, I find that it is a good idea to purchase things that we will also actually use once everyone returns home. 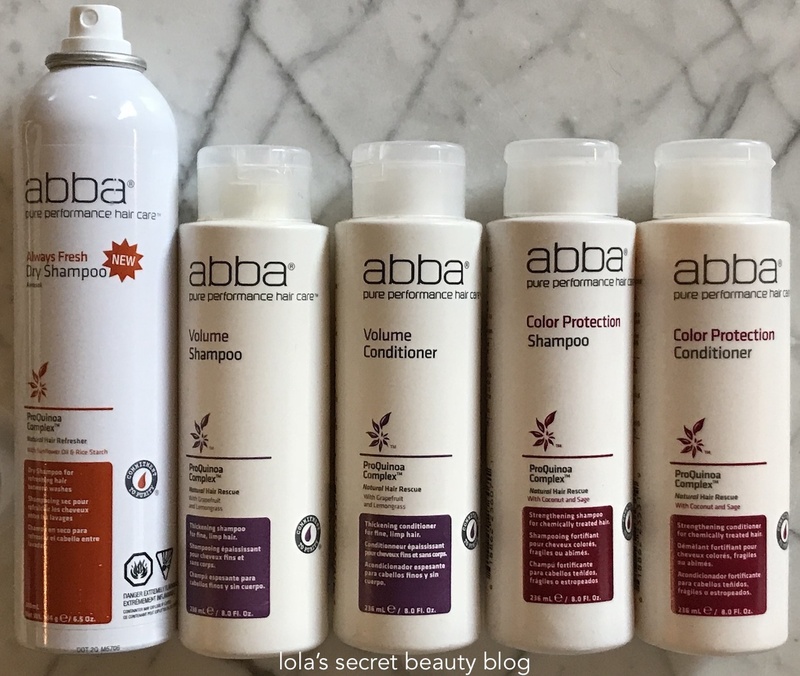 For over 25 years ABBA® Pure Performance Hair Care has been a leader in product formulation. We were the first brand to make 100% Vegan hair care products and our Gluten-Free ProQuinoa Complex™ delivers performance, protein and purity like no other professional salon brand on the market. The Grandpa Soap Company is a new-to-me brand that was an immediate hit in my house. 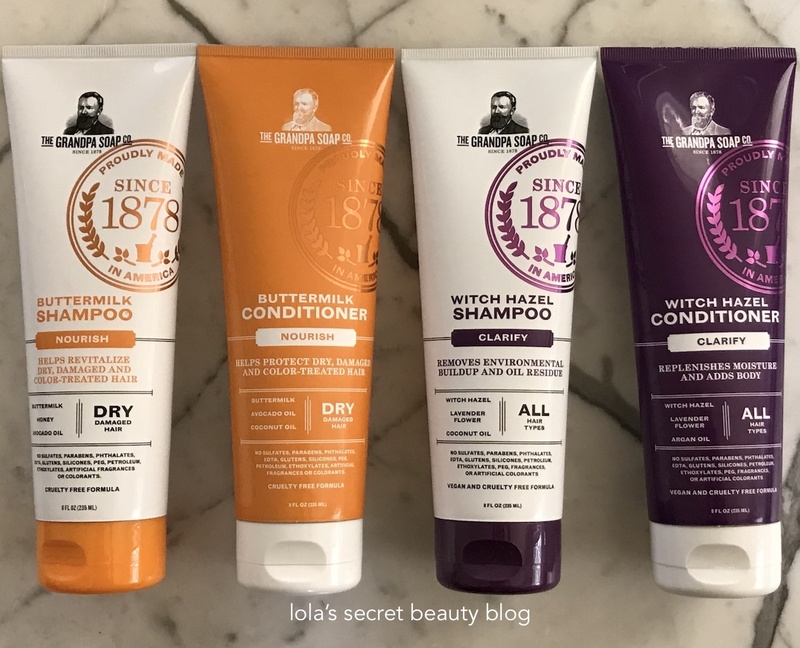 They have several different shampoos and conditioners, and the two that I have used are the Buttermilk and Witch Hazel collections. The former is nourishing, and perfect for dry and damaged hair, while the latter is clarifying and perfect to remove excessive styling product buildup during the holidays. The Grandpa Soap Company's soaps, which are formulated for the face and body come in Oatmeal, Epsom Salt, Witch Hazel, Charcoal, Buttermilk, Cornmeal and Rose Clay formulas. They are natural, and they effectively cleanse the skin and neither dry it out, nor leave it tight and uncomfortable. Macadamia Professional Haircare makes wonderful haircare that effectively cares for and treats hair in need of moisture. I have several of their styling products that are perfect for my dry curly hair. Their Nourishing Moisture Masque is such a treat because it deeply moisturizes even the driest hair and leaves it soft, smooth, frizz-free and manageable. 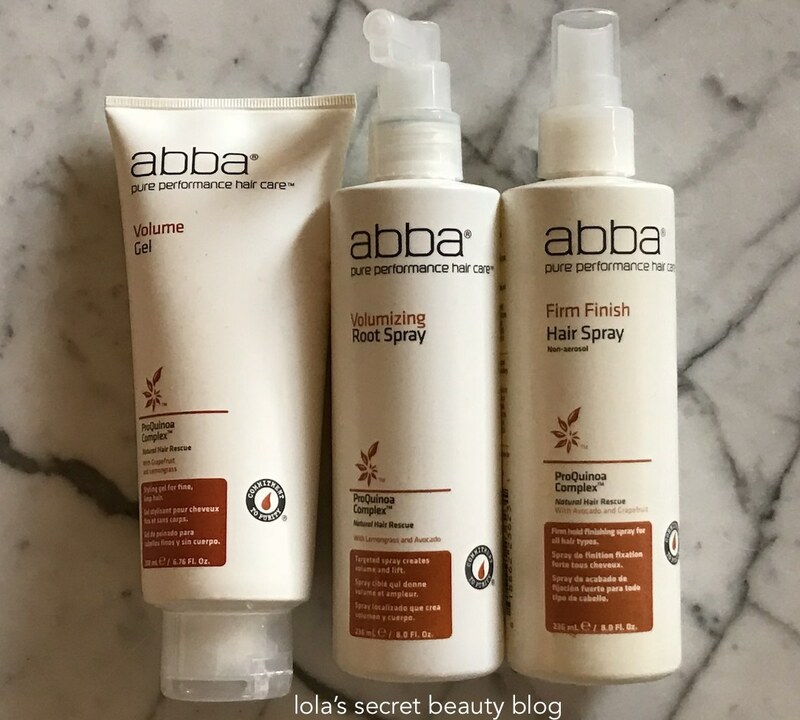 All of their products that I have tried enhance my curls, and leave my hair soft, smooth and hydrated. Nubian Heritage products are healthy, affordable and such a great pleasure to use. I love their bath and body products and use them all of the time. My current favorite scent is their Honey & Black Seed collection because it has a rich, warm creamy aroma that is perfect for the colder weather and the holidays. Their body wash and soap both lather nicely, but never strip the skin or leave it dry and uncomfortable. Their lotions are rich and creamy, and yet fast-absorbing and very moisturizing. Reviva Labs Collagen Fiber Eye Pads with Myoxinol Kit is something that you and your guests are likely to really appreciate during the holidays since they do a wonderful job smoothing lines, reducing puffiness and lightening dark circles. Given all of the excesses during the holidays, these eye pads are the perfect, and ultra-refreshing, antidote to holiday indulgences. 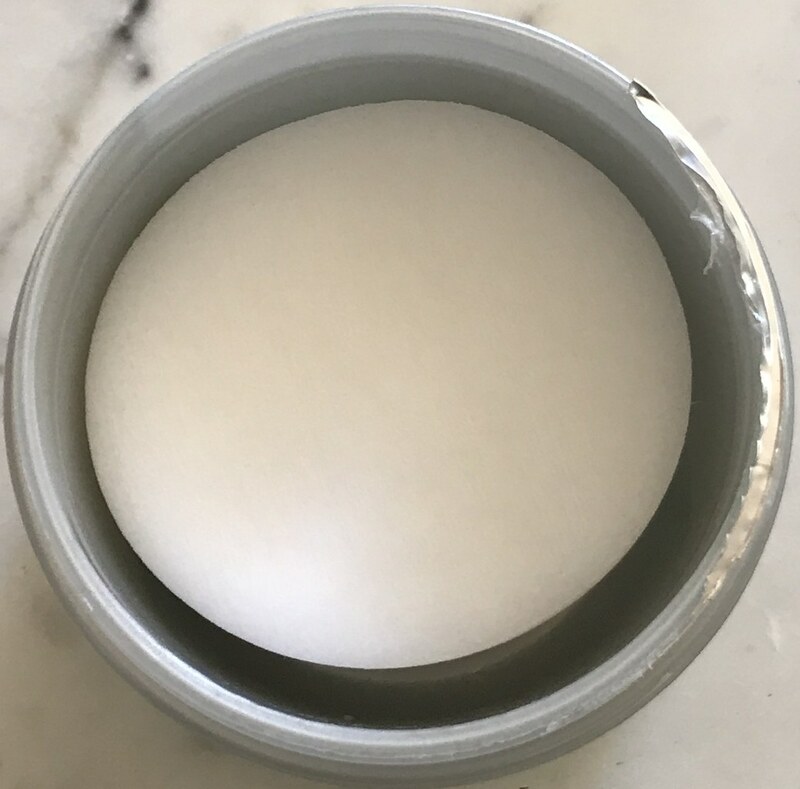 Relaxes under eye tissue to smooth wrinkles and bags—but, unlike Botox, also hydrates and helps lighten dark circles – with immediate results. Includes four sets of two eye pads & 2 oz. bottle of mineral-rich skin energizing gel. 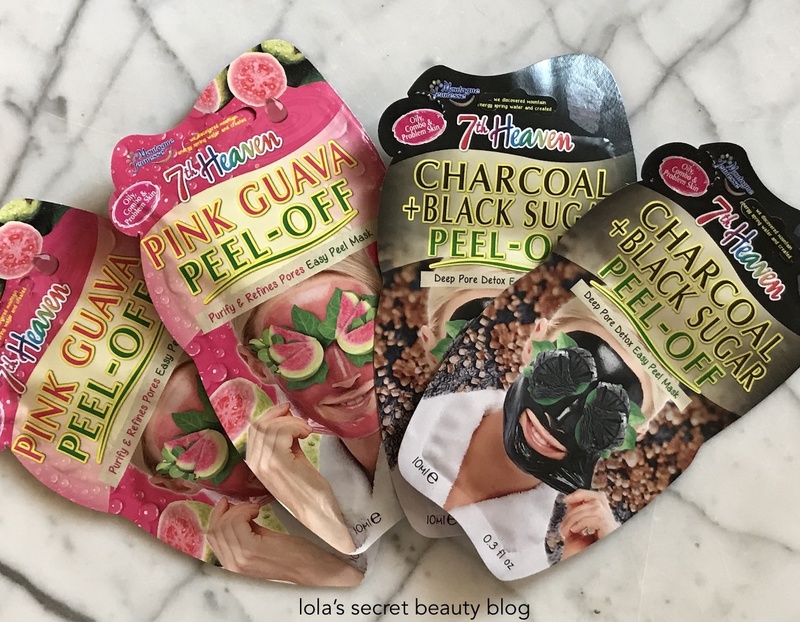 7th Heaven Masks are fun and affordable, cruelty-free and effective. They draw out impurities and leave skin soft and smooth. They apply as a gel but when they dry they transform into a rubbery mask that you peel off in sheets. They are so fun to use, and even more fun to do with friends. At a mere $1.99 per mask, you can get enough for you and your overnight guests. 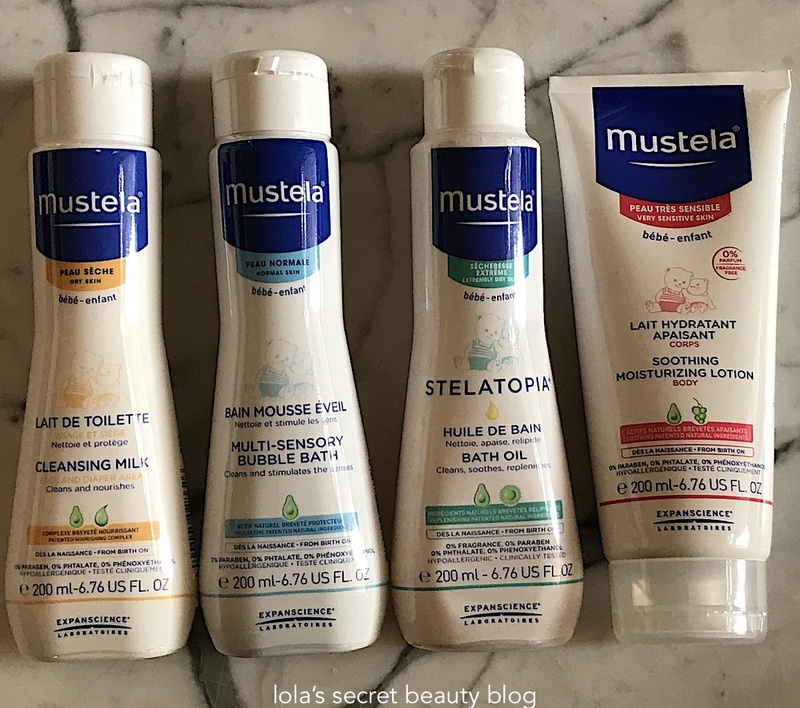 Mustela is a wonderful skincare brand for babies and mothers, but you neither have to be a baby, nor the mother of a baby to love their nourishing products. That said, if you are going to have family and friends with babies staying overnight, then Mustela products will be most appreciated by them. Their bubble bath, cleansing milk, bath oil, moisturizers and wipes are very gentle on even the most sensitive skin, and they leave it soft, smooth hydrated and pampered. Many of their products have light pleasant aromas, but others are fragrance-free. The holidays often include long hours on one's feet, and in heels, and therefore it is imperative to give your tootsies a little extra pampering. 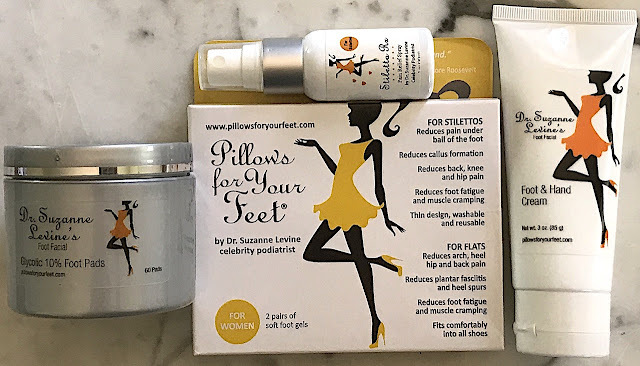 Dr. Suzanne Levine, who is a New York City podiatrist, created a wonderful line of products to pamper your feet. Dr. Levine's wonderful Foot and Hand Cream and highly effective Glycolic 10% Pads work in tandem to exfoliate dead skin cells and then offer rich moisture– the end result is baby's bottom soft feet that are smooth and moisturized. 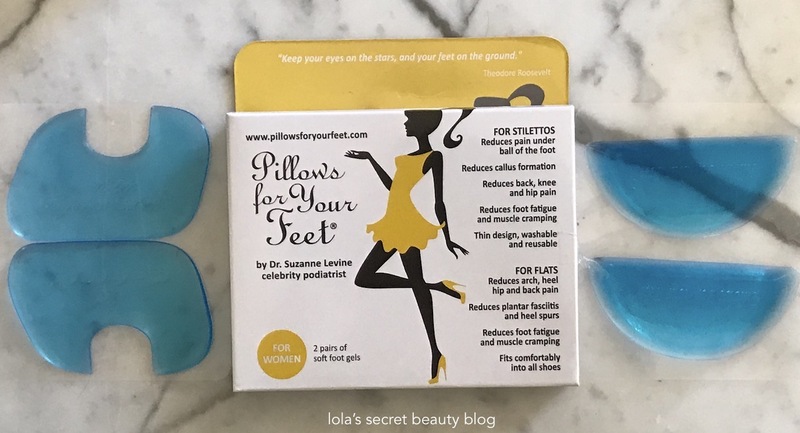 However, if you are spending a lot of time in heels over the holidays, she also has her fantastic Stiletto RX, which is a purse-size pain-relief spray, and her Pillows for Your Feet– which are wonderful soft-gel inserts that transform uncomfortable shoes into wearable ones. Furthermore, the soft-gel inserts were also conceived to alleviate back, knee, hip pain and to help reduce muscle cramping. Above: Dr. Suzanne Levine's Foot Facial Glycolic 10% Foot Pads. Overall Assessment: These are a few of the products that I plan to stock in my guest bathroom for family and friends this holiday season, but I will unquestionably add more things to the guest bathroom for their enjoyment and pampering as the holiday season progresses. What do you keep on hand for your holiday guests? These are definitely picks that guests would enjoy, and I think that you would like them as well– I know that I do. Yes, a guest bath is definitely a very nice thing to have. It just makes a lot of sense to do that so that you aren't wasting your money on things that you will never use. Using super budget products as a guest is never much fun– specially if those products include stripping and drying shampoos! I like my guests to be able to enjoy nice things that I would, and do, use on myself. Between TSA regulation size and carrying gifts, people who are traveling often have so little room to spare in their luggage– so it's nice to pamper them once they arrive! Love this post. Whenever we have guests, I put all the toiletries and bits and bobs of excess products in a basket in the bathroom, sort of "welcome, pamper yourself"
Thanks, Kath! I just think that it is nice to make the bathroom/guest bathroom a nice sanctuary for guests. I know that I love that when I am a guest! I love Macadamia hair products. They work well and smell so good. Also, that Nubian Heritage body wash is my new favorite! I love Macadamia hair products too– they really do work well and smell good! Nubian Heritage is definitely a favorite of mine as well, and this particular body wash is just divine! So many good products here! How will I choose? Your guests will be staying in style at your home with these lovely bath, body and hair choices. I loved the Pink Guava Mask, and I am a long time fan of Mustela. The Grandpa Soap especially made me smile! Thank you, Allison! I love for people to feel pampered when they stay the night! The Pink Guava Mask is really nice, I love it too! I LOVE Mustela, and just can't get enough of their products! 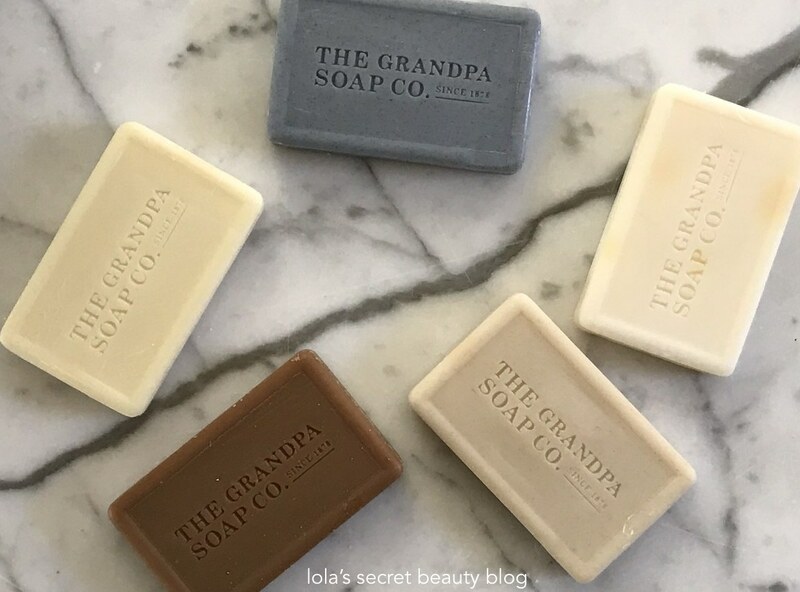 The Grandpa Soap Company makes really nice products that are well-worth trying. I LOVE Macadamia Professional Hair Care products. I use their cleansing conditioner and deep conditioner constantly! So do I! They make such incredible products!